Eyes express the inner feeling of an individual. To make it look attractive eyebrows play a significant role. Many have thin eyebrows and that what affect the overall facial look. Use of coconut oil for eyebrows can help in getting dark and thick eyebrows for a perfect look. What Does Coconut oil Do for Your Eyebrows? Coconut oil is known as one of the best natural remedy which can be used for growing eyebrows thick and dark. It is enriched with proteins and nutrients and supporting healthy hair growth of eyebrows. 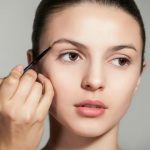 There are various ways of applying coconut oil on eyebrows, but some of the techniques are best in giving results. 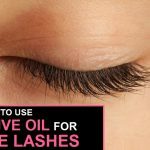 Castor oil is known to an effective remedy for the problem of thin eyebrows as it contents fatty acids, minerals and nutrients. How it work: It will promote the growth of the eyebrow hairs faster and make it thick and dense. Repetitions: 3 times a week for minimum 3 months. Best time to Apply: Before going to bed at night. Tips: For boosting the growth, add a drop of glycerin on eyebrows before apply the oil mix. Olive oil is rich in Vitamin E and allow the eyebrow hair to grow faster and thicker. How it works: It nourishes each and every hair stand of the eyebrows and this helps in growing faster by stimulating the production of sebum. Best time to Apply: When you have enough time in hand or before going to bed. Tips: Apply extra virgin olive oil for better results. Vaseline helps in growing longer, thicker, as well as stronger eyebrows. It offers moisture to eyebrow hair and promotes the speed of growth. How it work: You will notice growth of new hairs in the eyebrow zone making it dense and thick. Tips: Use virgin coconut oil only to get better results. Vitamin E oil supports in hair growth and also strengthens the fragile hair. How it works: The mix contains tocotrienol along with many other nutrients which reduces stress and promotes hair growth. Repetitions: Apply daily till you see improvements. Best time to Apply: Before going to bed. Tips: You can add few drops of glycerin to make the growth fast. The lemon juice acidic feature helps in removing excess oils and allows more oxygen to reach hair follicles. How it work: It will promote the growth of the eyebrow hair making it dense and thick. Repetitions: 2 times a week. Tips: Do not use too much lemon Juice, as it will bleach your eyebrow hair. You can try out any of the above methods using coconut oil for promoting the growth of hair in the eyebrow region. A beautiful pair of eyebrow can make your eyes look flawlessly beautiful and attractive. 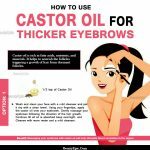 How to Use Castor oil for Thicker Eyebrows? 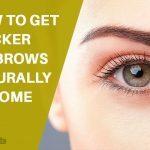 How to Get Thicker Eyebrows Naturally at Home?